This volume is a must for modern day activists hoping to overturn the status quo. 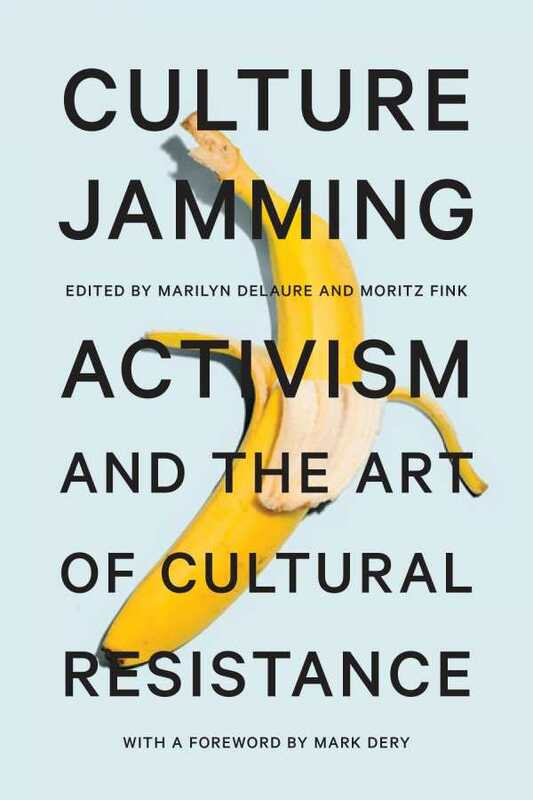 Culture Jamming: Activism and the Art of Cultural Resistance, edited by Marilyn DeLaure and Moritze Fink, is an in-depth look at creative means of social change. Culture jamming is a term for when activists disrupt the flow of mainstream culture in order to make a point. It’s a common phenomenon, today seen in flash mobs, Occupy Wall Street, and social media initiatives, but the term dates back to the 1980s, and the occurrence of such acts goes back even further. The book examines this type of activism and the way it subverts dominant ideas in society, like consumerism, presenting key ideas before delving into case studies. It also includes first person narratives and interviews with culture jammers. Each chapter is written by a different artist, professor, activist, or other expert, giving the book a multifaceted and comprehensive feel. The array of voices showcases the variety, creativity, and ingenuity of cultural resistance movements—a true testament to their beauty and efficacy. The volume has academic thoroughness, but with a decidedly accessible pop culture bent. This is timely work, with so much to critique in today’s world, and so many people desperately calling for change. Technology and social media, which facilitate speed and connectedness, make culture jamming more and more accessible and effective. The book will appeal most to those driven to change the world, as well as to those studying culture, how change occurs, and how modern social movements are built on patterns of past change. It presents approaches that are creative (even playful), and divisive, and shares the wisdom and history behind what makes culture jamming initiatives effective. Its balance of action and reflection will equip today’s activists to work swiftly and intelligently, employing on their own creativity and the lessons of those who’ve come before. Culture Jamming is a must for modern day activists who want to overturn the status quo, and fast, and who embrace the creativity and interconnectedness of modern life.